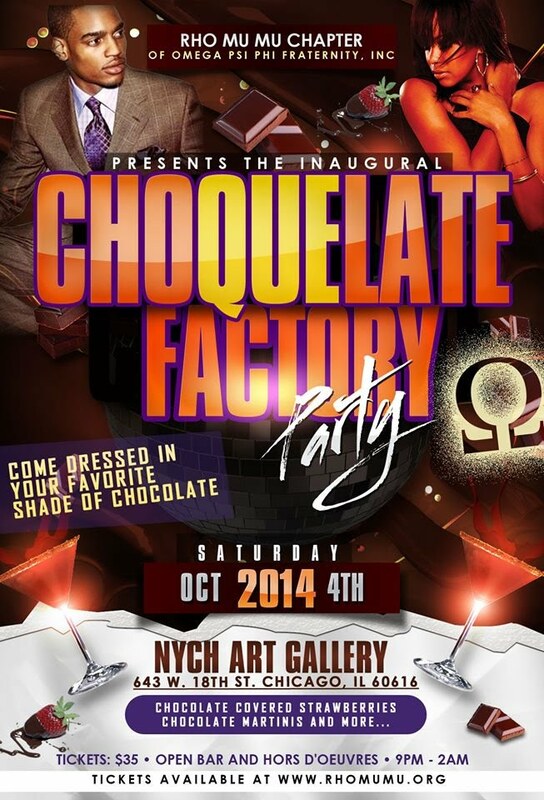 The Men of Rho Mu Mu Chapter of Omega Psi Phi Fraternity, Inc present the Inaugural "ChoQueLate Factory" Party. Experience something different. Come dressed in your best shade of Chocolate! You will thoroughly enjoy the open bar with Chocolate Martini's, Mudslides, and Black Russians. Also enjoy the Chocolate Fountain with fresh fruit and other hors d'oeuvres. Come get Chocolate Wasted with the West Side Ques!